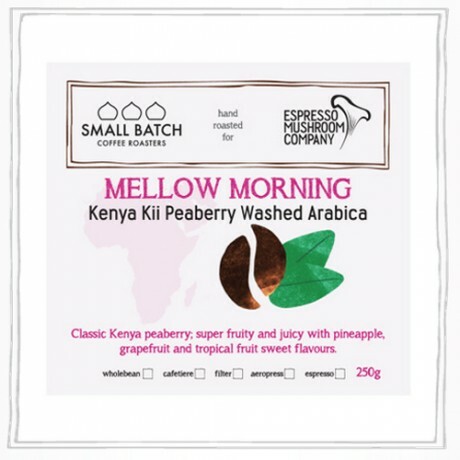 The Mellow Morning coffee comes from the South Central Kenya in the form of Kii Peaberry washed Arabica coffee. Peaberries produce enhanced flavours than normal beans from the same crop as their shape brings out different taste characteristics during the roast. It’s been lightly roasted to produce a distinctive super fruity coffee with delicate acidity. As you drink it you’ll notice citrus notes of pineapple and grapefruit complimented with sweet tropical flavours. 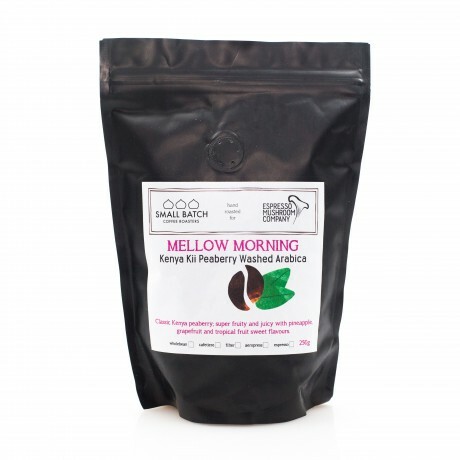 It’s gentle but rich in the cup with a medium to light body and elegant finish. 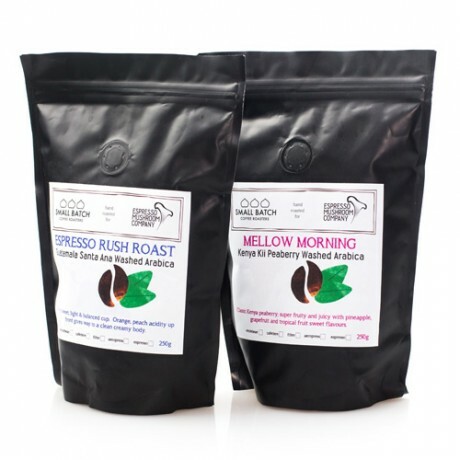 This is a coffee to enjoy on a Sunday morning alongside your breakfast of sautéed oyster mushrooms on fancy bread while the sun shines through the windows! They recommend drinking this long as a filter or cafetière, but if you’re feeling adventurous they’ll grind it fine for espresso. The Espresso Rush Roast: This is a lovely sweet, light and balanced cup of tip top single origin washed Arabica coffee from finca Santa Ana in the volcanic highlands of Guatemala. Enjoy the up-front orangey peachy freshness that gives way to a clean and creamy body. 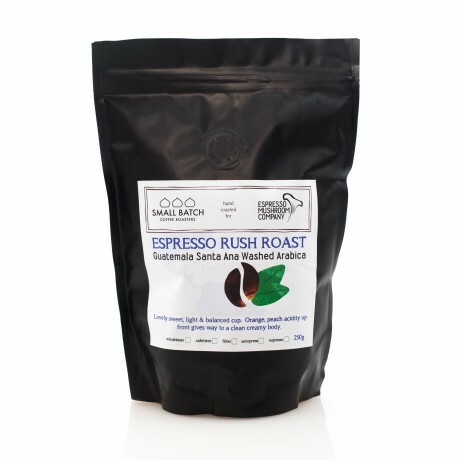 The Espresso Rush Roast coffee is ideal for filter, cafetière, stove-top percolators and of course for espresso – and they’ll grind your coffee to order according to how you’ll be making it – or leave it wholebean! 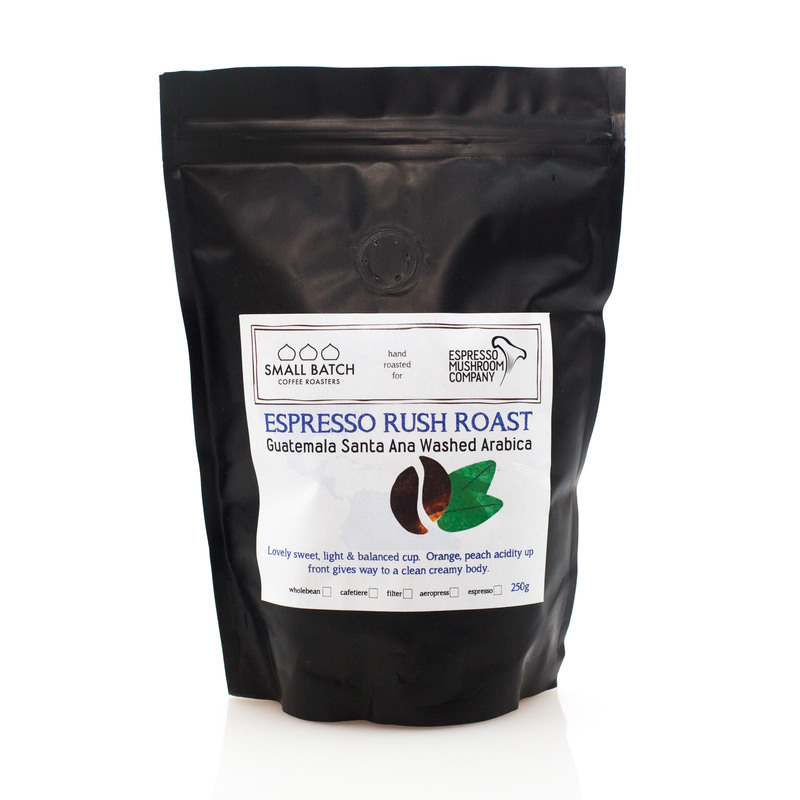 For an espresso, it’s a reasonably light roast allowing the subtle flavours to shine through. 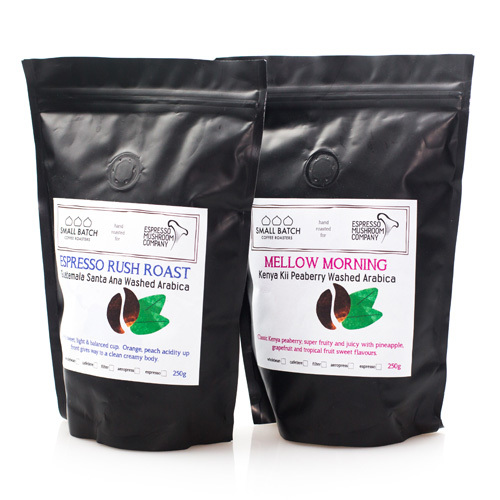 It’s great to drink short to kick start the day or long to give you that espresso buzz, and savour it in the afternoon.